Thanksgiving is right around the corner, and with it comes a reminder of how thankful we should all be for the numerous blessings we have received. We also need to teach our kids to be thankful! 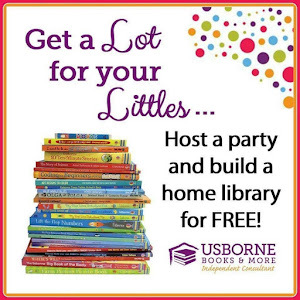 Several posts from last week included some great ideas on just how to do that! My Thankfulness Features This Week! 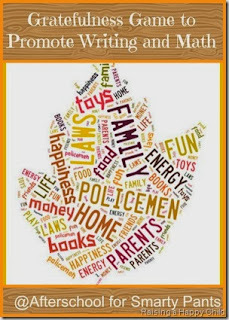 Afterschool for Smarty Pants played a Gratefulness Game to help encourage a thankful attitude! 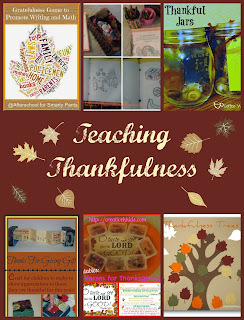 Creative K Kids created some free printables of verses on Thankfulness! 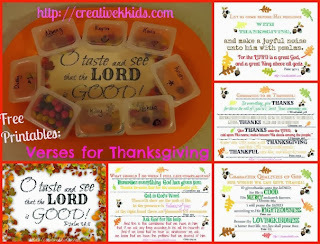 They also did a great little activity using candy to encourage thankfulness! 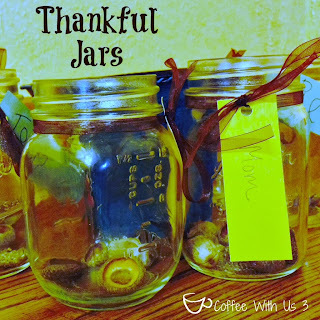 Coffee with Us 3 filled jars with acorns as they discussed what they were thankful for! 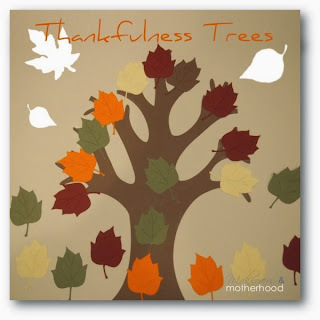 Makeovers and Motherhood created a Thankfulness Tree with free printables to make your own! 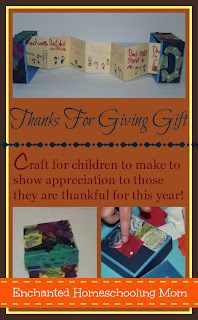 Enchanted Homeschooling Mom created these clever boxes to thank people for all they do! 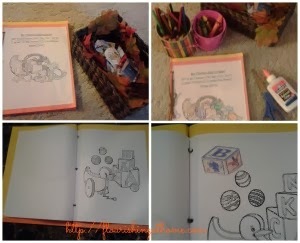 Flourishing at Home created a Thankfulness Basket for their toddler! This week we are adding to our 5 weeks of Giveaways a Little Boys Bow Tie and Suspender Set from Baxter Boy! For more information along with a review head over to True Aim! There is still plenty of time to enter the rest of our Giveaways as well! 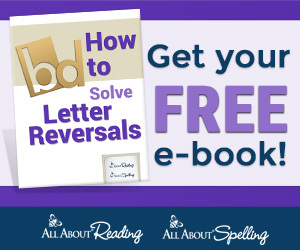 Which include Bee Alert Memory Game, Children's Language DVD Set, Scripture Lullabies, $50 Paypal Cash or Amazon Giftcard . There is a separate giveaway form for each prize, so you only have to enter the ones you want, and you can see (and enter) them all HERE!